Segovia Spain is an ancient Spanish city and modern day provincial capital dating back to Roman times in the region of Castilla y Leon. Its unique medieval castle, Roman aqueduct and small fortressed town are popular with visitors and locals alike whilst the traditional Segovian roast suckling pig draws visitors from Madrid on the weekends! Whilst an important cultural and heritage destination within Spain, Segovia continues to be the administrative and commercial center of the relatively wealthy province of the same name. Such important functions could have led to over development but thankfully the historic hill top medieval town has come through centuries of developement pretty much unscathed and 20th century additions have been restricted to outside the old city walls. 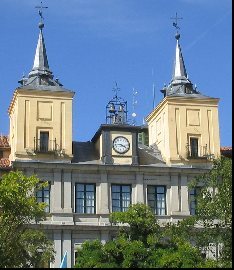 Located just an hour from Avila, Madrid and Valladolid a visit to Segovia Spain can form part of a wider tour of Spain or Castilla y Leon or as a standalone daytrip from Madrid. Our recomendation is that if possible the visitor spends a night in Segovia to soak up its unique atmosphere but if pressed for time then it should be first on your list of Madrid daytrips! One of the most pleasing aspects of visiting the city of Segovia is the fact that its major attractions are all within walking distance of one another. Thats what happens when you build a city on top of a hill and enclose it behind a stome wall! Discover what makes the city truly unique as you get to grips with the culture of Segovia. 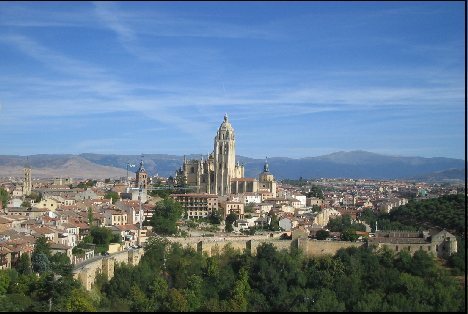 Quick and easy to follow travel guides to Segovia Spain from both national and local destinations.